← Cupid Comes to the Hilltop 2018! This year’s HCV Retrofest festival celebrates the decade of the 1970s. There will be a 70’s car show starting at 1:30, live music starting at 3, and am outdoor movie at dusk. There will be also be great food, with our featured vendor being Zeke’s Island Cafe. Admission is free, so invite everyone you know! 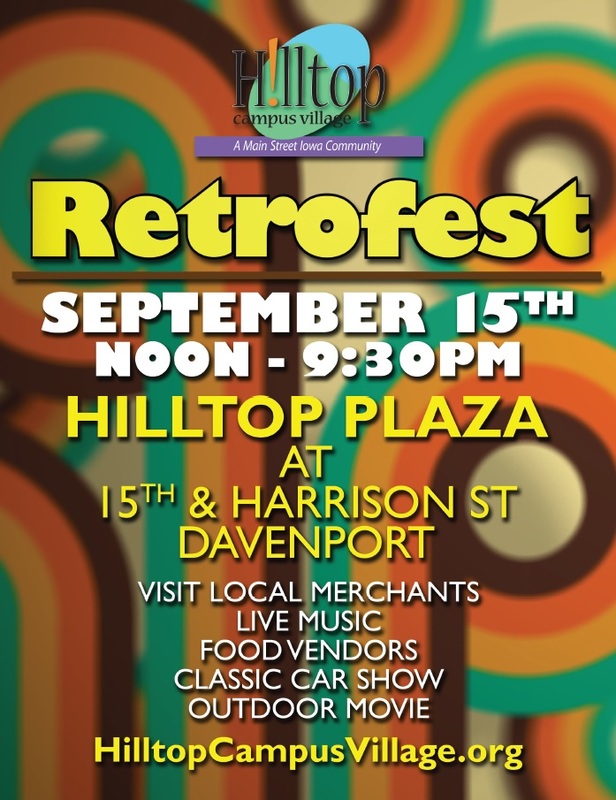 The RetroFest will be at the Hilltop Plaza, at Harrison and 15th Streets, in the heart of the Hilltop Campus Village! We will update this page with more details as we release them!